Event coming up? Worried you’ll forget to WORRY about something? Fret no more. This handy checklist of unnecessary anxieties is guaranteed to have you losing sleep for weeks. I will not find the venue. I will find the venue is insalubrious. I will turn up on the wrong day/week/month/continent. My car will break down or else I will crash it. Probably into the venue. Or the children. The train will be cancelled. The train will break down. I will crash the train. I will be late. I will be flustered. Everything will go wrong. I will be early. I will still be flustered. There will be no excuse for anything to go wrong, and yet absolutely everything will. I will have to cancel due to crippling anxiety and/or illness. I will let everyone down. I will damage my reputation and no on will ever ask me to do an event again. Fingers crossed. The promised essentials (powerpoint, flip chart, paper, pens, valium, etc.) will not materialise. I will leave my books at home. I will leave my memory stick at home with my slideshow on it. I will remember the memory stick, but will bring the wrong file, most likely something inappropriate or incriminating. The event organiser will be unable to conceal their disappointment in me. No one will turn up. Johnny Depp will turn up and I will not be able to think of the first thing to say to him. Sudden inexplicable onset of Tourette’s. 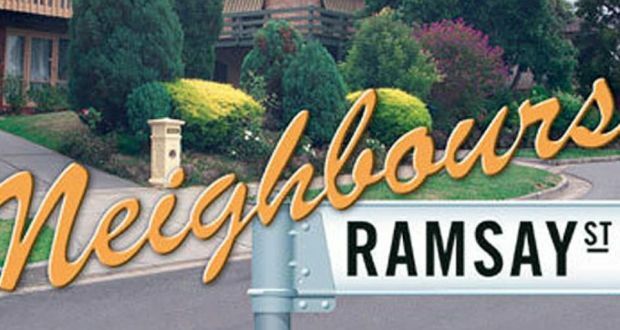 Someone will look at me funny, putting me off my stride so badly I launch involuntarily into a musical number from Grease. The children will be Mensa protégés who correct me on my grammar. A child will ask a question that destroys or unhinges me. I will fall flat on my face. I will catch shingles from lingering pox on the venue carpet. 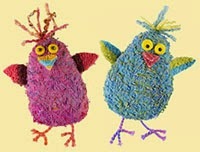 These are pre-school children. I could even catch bubonic plague. The organiser will not have arranged book sales. The organiser will expect me to bring along books and cash float. They will also expect me to do maths while talking and signing books for children with names like, "Eve, spelled Yvxwezfgh." I will not sell a single book and everyone will know I am a loser. No one will offer me a drink all day. Someone will offer me a drink but I will start choking on it, mid-story. I will choke to death in front of everybody. I will not be able to locate the loo. I will have an accident. 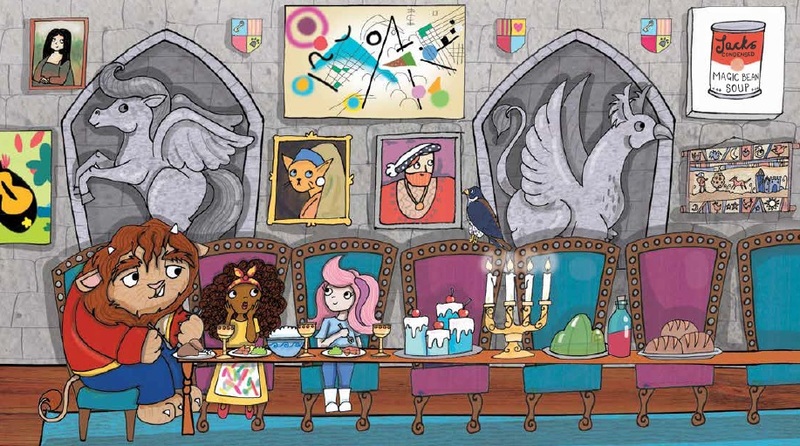 Looking for the loo, I will enter the broom cupboard and have to style it out. My family will resent me for spending time away from home. My children will forget what I look like. My husband will think I am away so much I must be having an affair. I will go all that way and - assuming #18 did not happen - there will not be anyone worth having an affair with. No one would want to have an affair with me anyway: I arrive a witless, charmless mess dressed as an impoverished bag lady. A local newspaper journalist will come and take a horrible photo, capturing my dishevelled bag lady look forever and making it the most prominent image result for me in Google. 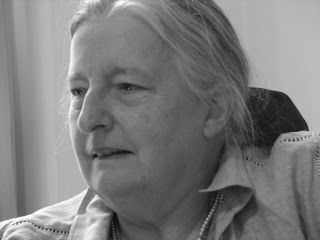 The photo will appear in the paper with the caption, ‘Not even Julia Donaldson’. The photo will not appear, being deemed less newsworthy than a sponsored shoeshine. My publishers will not even notice that I am hauling my arse all over the country to promote our book. 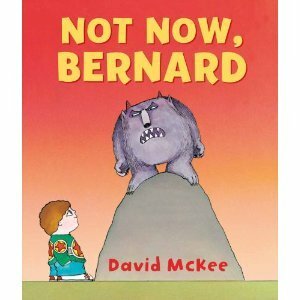 My publishers will notice, but will be too busy celebrating the umpteenth reprint of ‘The Gruffalo' to care. My publishers will see the terrible national newspaper write-up with the unfortunate photo of me, book aloft, smiling, beside the burning venue and sobbing children. There will not be cake. There will be cake, but I will choke on it. Julia Donaldson will turn up, dressed as the Gruffalo, and deck me. Some manner of very public, non-choking related death. I’m worried I’ve omitted a load of things I ought to be worrying about. Please share any fears I’ve yet to consider below. Don't worry, folks. You'll be great. After all, you’ve got this anxiety thing nailed. Everyone will be disappointed that I am not Tim Peake. If Tim Peake were watching my event from space, he would be disappointed. They only invited me because they are hoping I can introduce them to Tim Peake. Disappointment is inevitable. 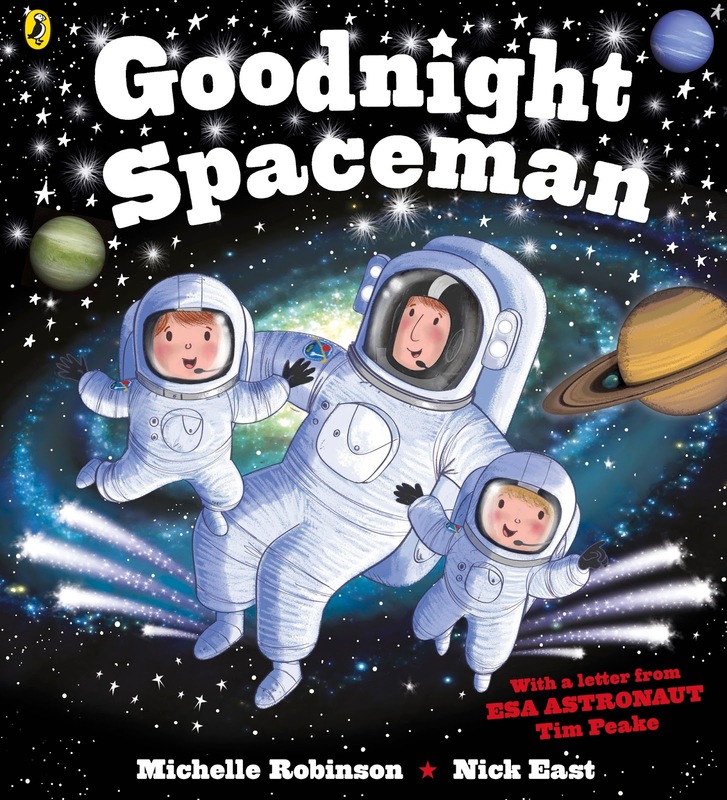 'Goodnight Spaceman' is published by Puffin, illustrated by Nick East and features a very special foreword by ESA astronaut, Tim Peake. In the past, I've nearly always bought picture books as paperbacks, occasionally buying a hardback copy of a book I love in the hope of preserving it for posterity. All that has changed with the arrival of my two baby granddaughters. Sammy is 1 year old this week and Angelina turns 2 next month. They both love books. They love being read to - but they also love turning the pages (in any order), bashing the book, trying to pick the illustrations out of it and chewing and dribbling on the pages. 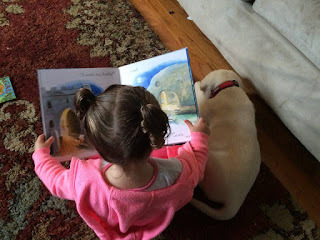 It’s a joy seeing them interact with books, but it doesn’t do the pages of a conventional picture book much good, especially when they’re also being shared with a puppy. 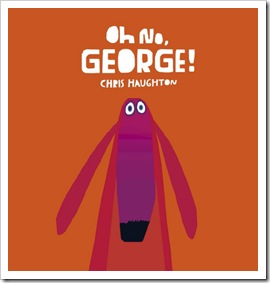 So, recently, I’ve found myself buying board books. 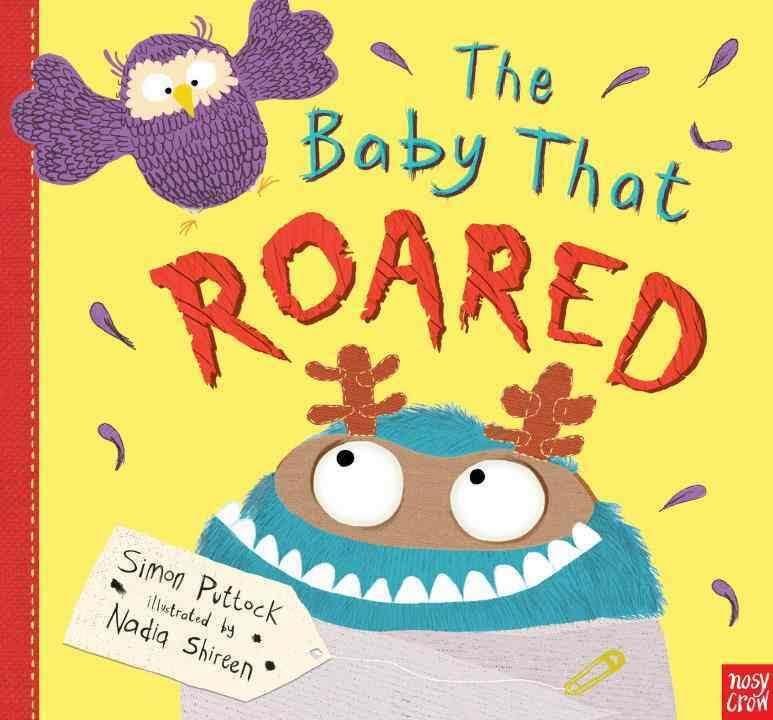 Board books specifically written and designed for the under 3s tend to have simpler text, not so many pages and not as much story as picture books. 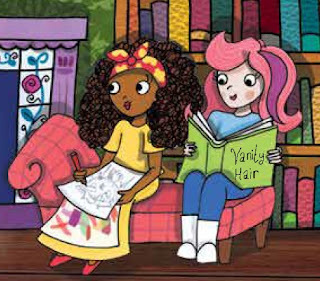 These delight my granddaughters, and I’ve loved writing some of them myself, but (whisper it) they’re often not such a satisfying read for the adult as a good picture book is. 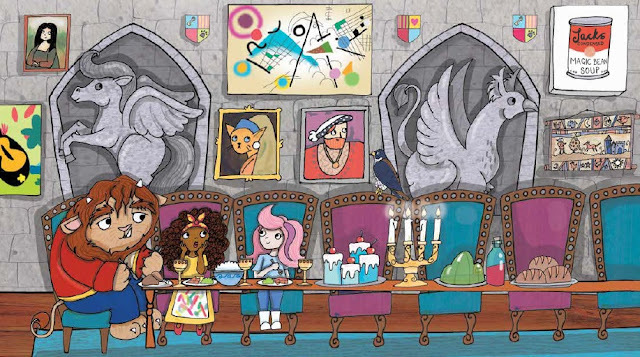 Happily, lots of classic picture books are available in board form, and some (but not all) work really well in this format. I couldn’t resist getting some I read to my boys when they were small.The corners get a big splayed out and soggy, but they survive much better than the paperbacks ever did. 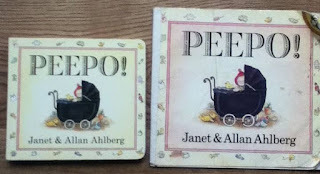 I’d love to hear what picture books you think work well as board books, so I can add to my collection. Out this month in hardback in the UK. tastily illustrated by Georgie Birkett. Labels: board books, Jane Clarke, Peepo! 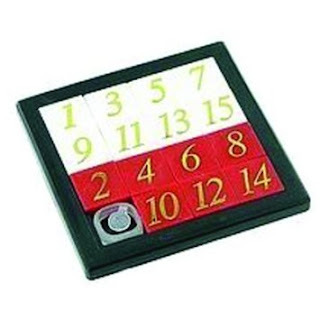 When I was a child, we used to play this game: my dad would tell us all to shut our eyes in the car when we weren’t too far from home and then he’d drive and –still with our eyes shut- we’d have to tell him when we were home. To me, it was a bit like magic. The car would eventually stop and I’d assume we were home –because we’d stopped. But my sister would confidently say, eyes still shut: “You’ve cheated! You’ve taken us down Monks Hill instead! We’re by the field!” And she’d be right. How on earth did she know? 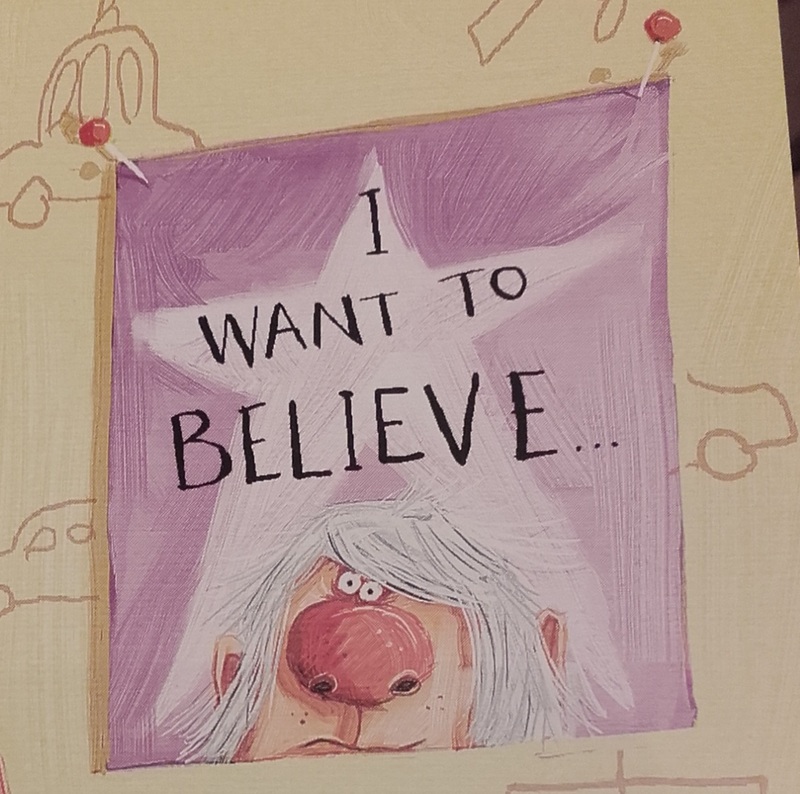 So it turned out that other people could picture their mum if they closed their eyes and she wasn’t actually there. And, as my sister who used to know where we were going in the car even with her eyes shut, told me, when she's working out where she's going, she pictures a map from above, like an aerial view of streets (excuse me?) when she’s walking around. I’d never read anything about this until a couple of months ago when a fellow writer, Addy Farmer, wrote about it. She mentioned the famous 19th century psychologist, Galton, who’d done some research into this and found that people who pictured things just assumed other people pictured things, and people who didn’t, didn’t (well –it would never even cross their minds that something that bizarre was going on in other people’s heads). Not picturing things is called aphantasia (which sounds a little too close to an 80s pop group for my liking), and you can do a quiz here (run by researchers at Exeter University, who are doing research into it). For me, most of the questions didn’t even make sense. And so aphantasia probably helps me live more in the present and let go of the past: although it was extremely sad when my husband and I were going to split up (and the run up to it, when I was living it every day was extremely painful), I’m never haunted by closing my eyes and seeing pictures of us being happy together. If I don’t look at pictures of him, I don’t see him. And I still don’t know what colour his eyes are, even though I’ve looked into them thousands of times. I still remember the happy emotions associated with lots of the relationship, so I can talk genuinely happily with the children about some of the great times we had together –but I don’t visualise them. And I’d never be haunted by imagined images of him with someone new, which apparently other people are, which must be grim. Similarly, I don’t visualise being attacked by someone in my mid-twenties and I can't remember what he looked like at all. And it probably partly accounts for my being less bothered by my appearance than some people (unless I’m in front of a mirror, it wouldn’t cross my mind how someone else might be viewing me –unless I actively tried to think about it). And I don't crave expensive exotic holidays. They’d be lovely whilst I was there, I suspect –and I'd love hanging out with the people I was with, but I wouldn't be reliving any beautiful sights again. For me, grass just isn’t greener on the other side. You make the most of exactly where you’re at because the other stuff is kind of not even there… it seems that for some other people, the If onlys… and what ifs… are far more present. And I probably have my lack of visual imagination to thank for a large part of that. But there is a point to this in relation to reading and writing and picture books. I love books and reading. At the end of reading a book I have no more idea what a character looks like than at the beginning. I skip descriptive passages because they mean nothing. Although I love her poetry (which for me is about the words and the sounds and the emotion), I could never read Emily Bronte’s Wuthering Heights as it’s so full of description I just can’t follow it. 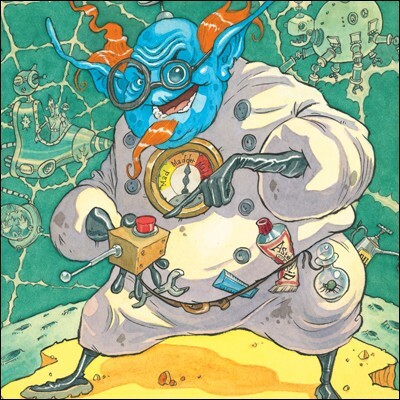 And that’s great –and easy, as I can just look at the pictures and they’re there. 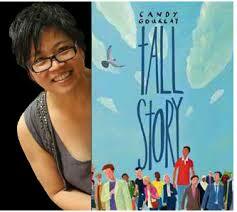 Maybe I love picture books so much because I’m not visual. 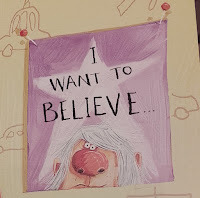 Picture books are a visual experience for me whereas reading a novel certainly isn’t a vaguely visual experience… I’d love to hear from other writers and illustrators about how important picturing things is for them –is it real or just a metaphor? And for readers, what’s your experience of reading books? I’d love to know the kinds of books that other non-visual people like to read –and what they like to write. 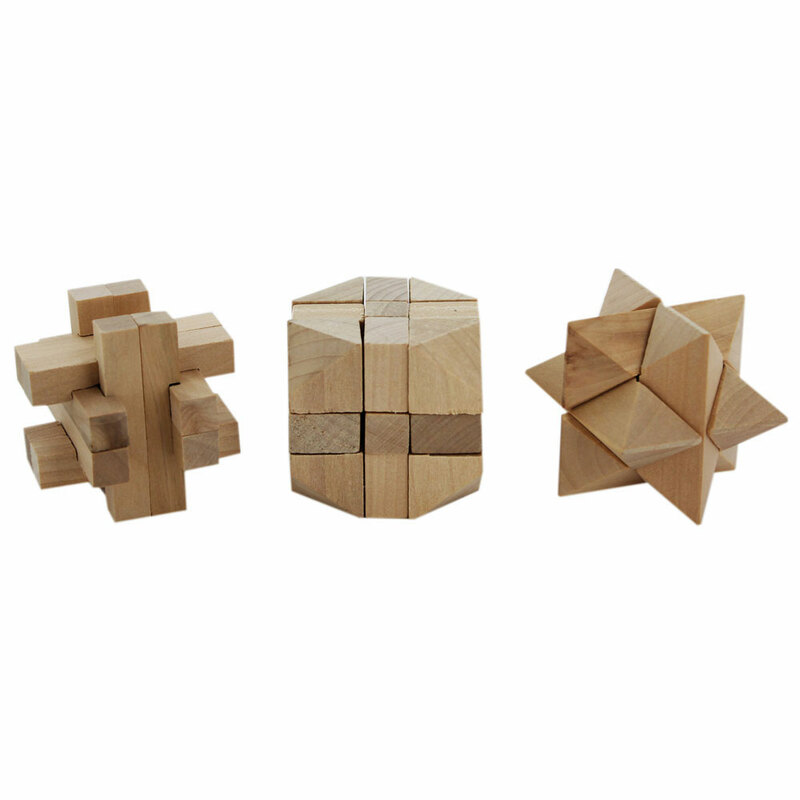 Please share your visual or non-visual experiences below. As someone who grew up at the time of the Apollo Missions I’ve always found the idea of space travel hugely appealing and had a particular interest in stories that are set in space. 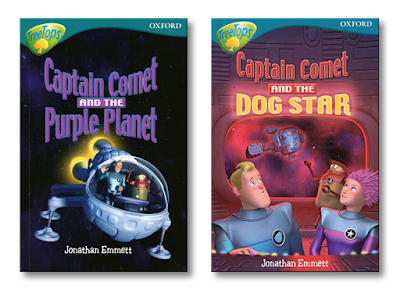 The Captain Comet chapter fiction books illustrated by Andy Parker are set in space. … none of the space-set picture books I’ve pitched have ever made it into print. an unpublished space-set picture book we developed together. If this is true, then I think it shows that the picture book market is currently catering to the tastes of a demographic that is relatively narrow compared to its potential readership. There are plenty of picture book age children that are interested in stories set in space. 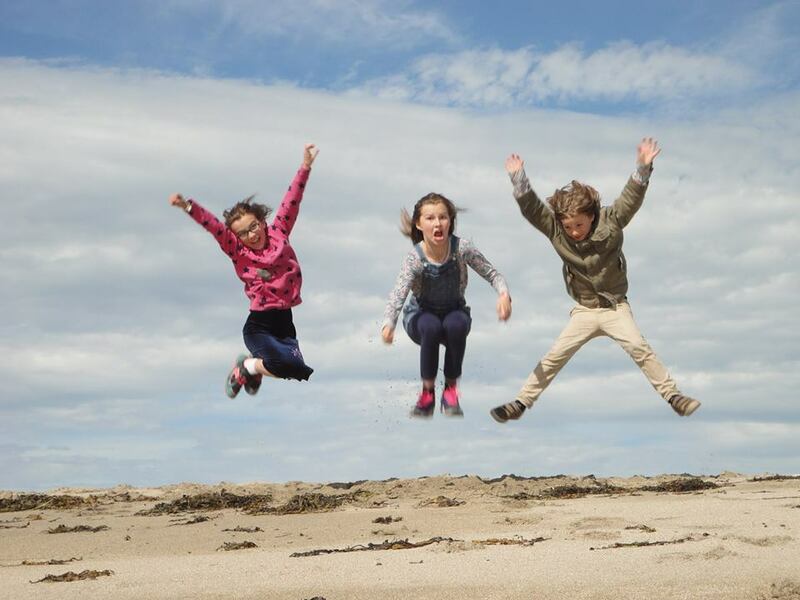 However these children are currently having this appetite fed by TV shows and films rather than books. 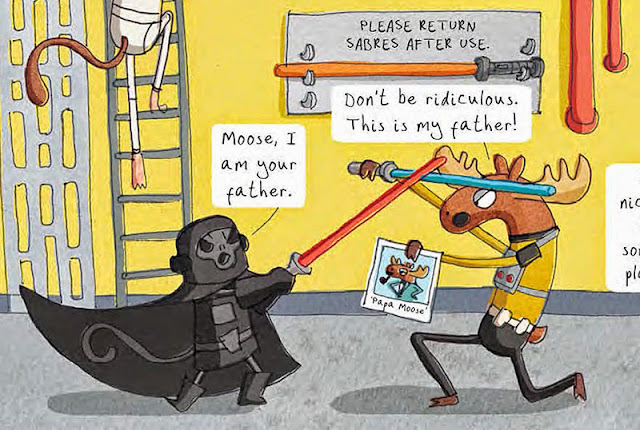 My son and several of his friends were obsessed with the original U certificate Star Wars trilogy from the age of four and when I went to see the new Star Wars film over Christmas, I was struck by how many parents had brought small children to see it, despite its 12 certificate rating. 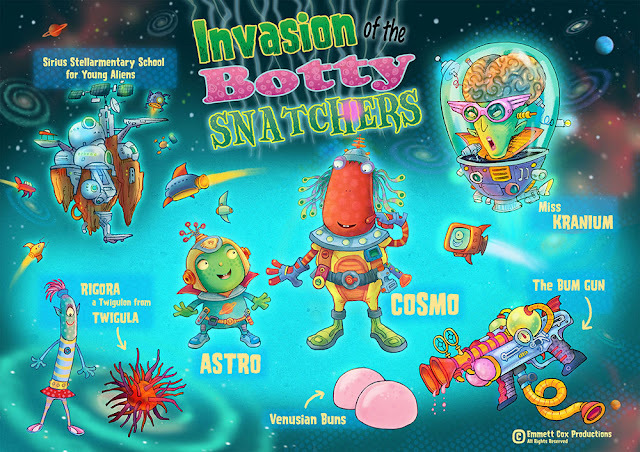 If publishers want to show these children that picture books are every bit as capable of matching the appeal of their favourite films and TV shows, they might consider “boldly going” into space a little more often. And I do mean “boldly”; it’s not just the setting that’s important. 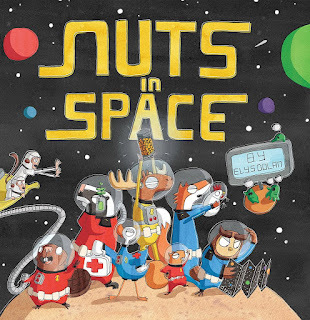 There is a market for gentler picture book stories set in space, but such books will not cut it with young readers with an appetite for dogfights and death stars. 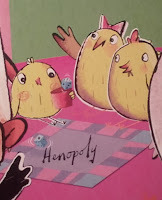 These children need picture books that can match the dastardly villainy, thrillingly perilous predicaments and sophisticated craft and weaponry evident in films like Star Wars. 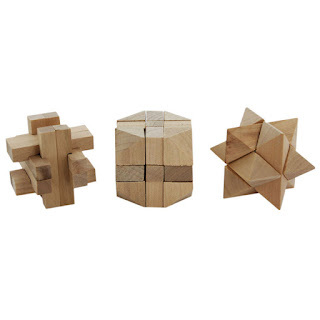 Here are three space-set books that are a good deal “bolder” than most. 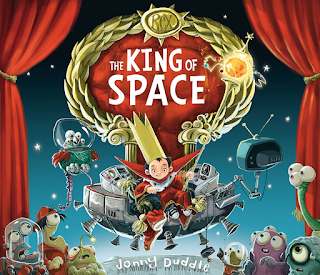 The King of Space written and Illustrated by Jonny Duddle is one of the best picture books of the last ten years and shamefully under-recognised by reviewers and awards judges alike. 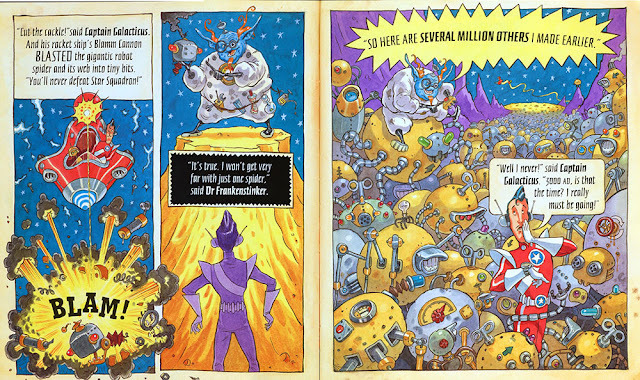 It’s a brilliantly illustrated, tech-tastic, action packed epic, filled with battling spaceships, menacing robots and a pint-sized megalomaniac. The hardback edition comes with a dust-cover that unfolds to make this awesome poster of a 'warbot'. Nuts in Space written and illustrated by Elys Dolan is a madcap space epic that's brimful of comic references to both Star Wars and Star Trek. 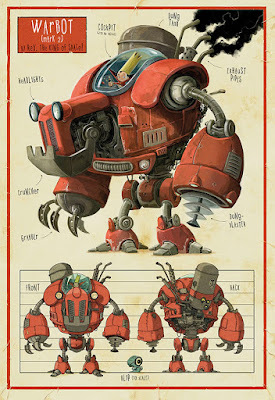 Charged with transporting “The Lost Nuts of Legend” across the galaxy, the crew of Forest Fleet’s finest starship encounter a mischievous menagerie of creatures from little green men to ravenous Ewok-like bears, before falling into the clutches of Daft Monkey and his legion of simian stormtroopers. The book is full of amusing in-jokes for sci-fi fans young and old, such as this encounter between Daft Monkey and Commander Moose. Mungo and the Spiders from Space written by Timothy Knapman, illustrated by Adam Stower is part of an excellent series of Mungo stories in which Mungo, the young hero, enters the world of a favourite bedtime book. 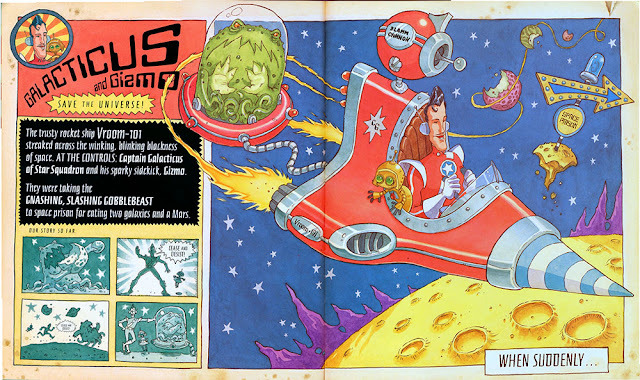 In this story it's a comic book adventure featuring a Dan-Dare-like space hero called Captain Galacticus. 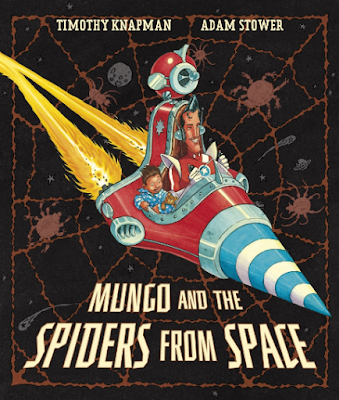 Galacticus and Mungo join forces to thwart the villainous, Dr Frankenstinker, the "maddest scientist on Mercury". 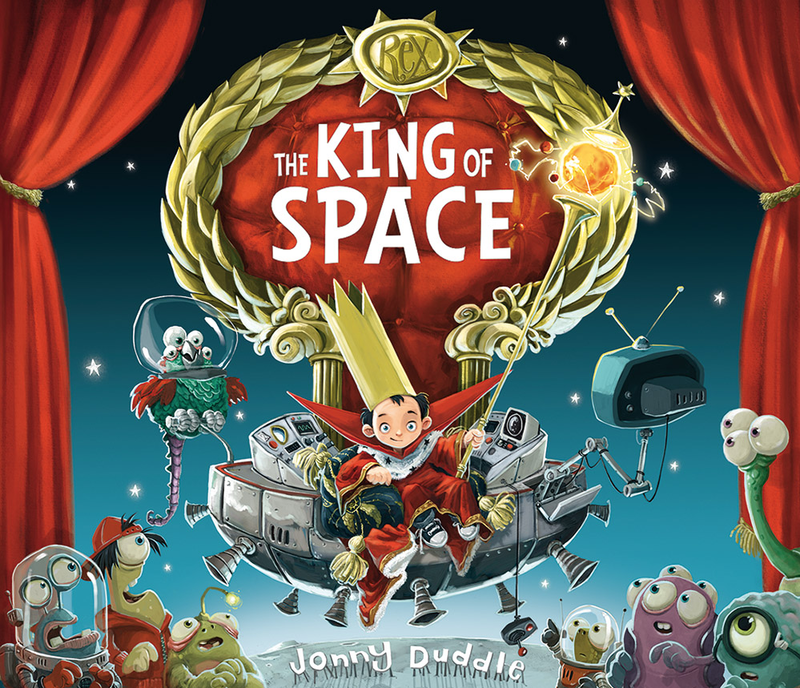 Can you recommend any other picture books that "boldly go" into space? If so, we'd love to hear about them in the comments box below. 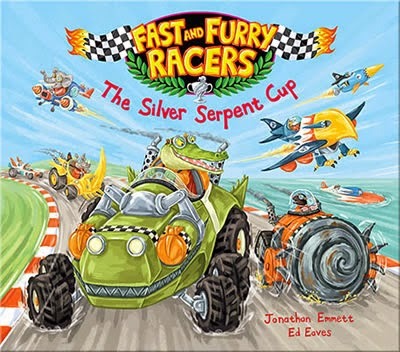 Jonathan Emmett's latest picture book is Fast and Furry Racers: The Silver Serpent Cup illustrated by Ed Eaves and published by Oxford University Press. I love fantasy - any kind of fairy tales, mythology or crazy invented wackiness. But I also chortle when a book manages to reference real life. 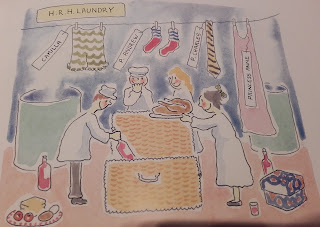 And who could fail to giggle at a line of royal underpants in The Queen's Knickers (Nicholas Allan)? 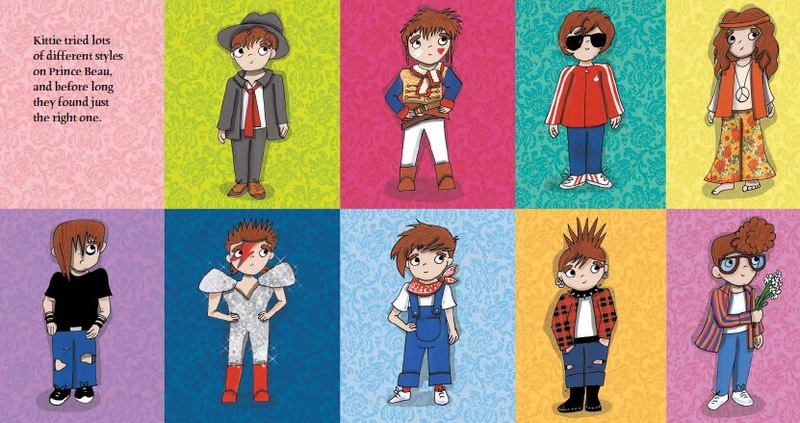 But can you guess which musical style/performer each outfit represents? And, more importantly, can you please settle the row between my husband and me - is Number 1 Rude Boy or Pete Docherty?